The Intercity Express (ICE) is your connection between Airdrie and Calgary. Accessible, affordable and convenient, ICE offers three routes that provide easy access to Calgary with transfers via Calgary Transit (separate fare required). Travel the cool way home, take the ICE. This summer the City of Airdrie Water Services department will be installing new water main and sanitary sewer pipe along Main Street between Veteran’s Blvd and Elk Hill. 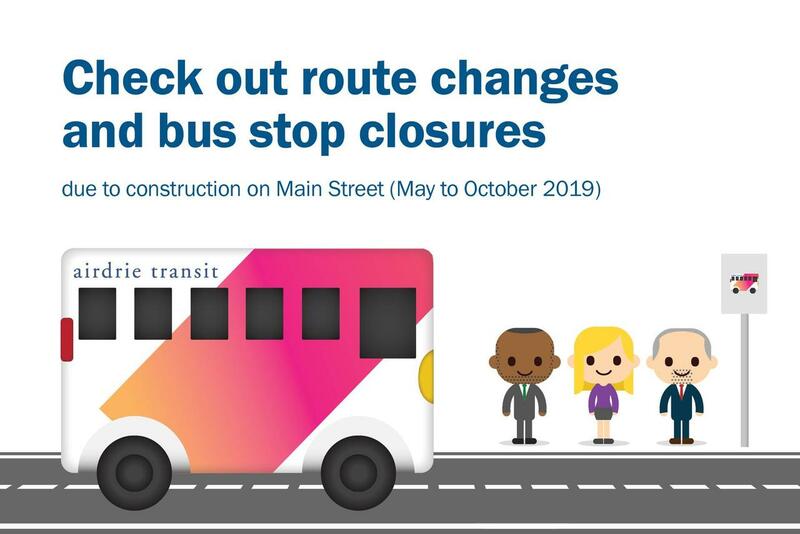 During this project, sections of Main Street will be closed resulting in a number of temporary bus stop closures and route changes. Notices will be posted at impacted bus stops and revised route maps and schedules will be available on airdrietransit.ca starting the week of April 23, 2019. Airdrie's all-day connection to CrossIron Mills Mall and the City of Calgary operates every hour, seven days-a-week. Route 900 operates along Main Street in Airdrie, including connections with Local Transit at the South Transit Terminal, stops in-front of Entry 2 at CrossIron Mills Mall and on 36 St by the Rundle LRT station. Complimentary park and ride facilities are available at the South Transit Terminal. Fares for the service depend on your final destination. Airdrie Transit operates two downtown ICE services, one from East Airdrie (Route 901) and one from West Airdrie (Route 902). Downtown ICE services operate during peak commuting times in the morning and afternoon, five days-a-week. 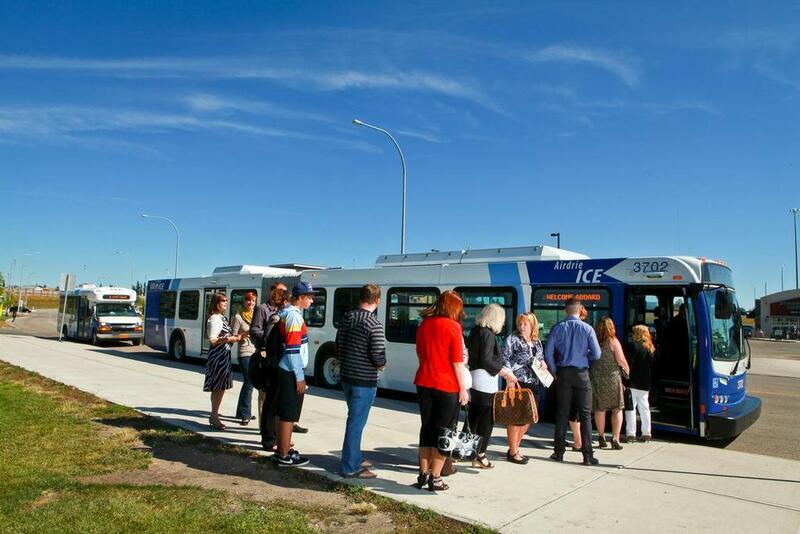 Complimentary park and ride facilities are available at the Ron Ebbesen Arena in east Airdrie (Route 901 only) or the South Transit Terminal in west Airdrie (Routes 900, 901 and 902). This service provides a variety of fare options from one-time use to daily customers. Please note downtown ICE services do not operate on statutory holidays.